Cable spaghetti is the nightmare that drives network managers to the brink of insanity: it is assaulting to your eyes and it may also impede your ability to troubleshoot IT issues. 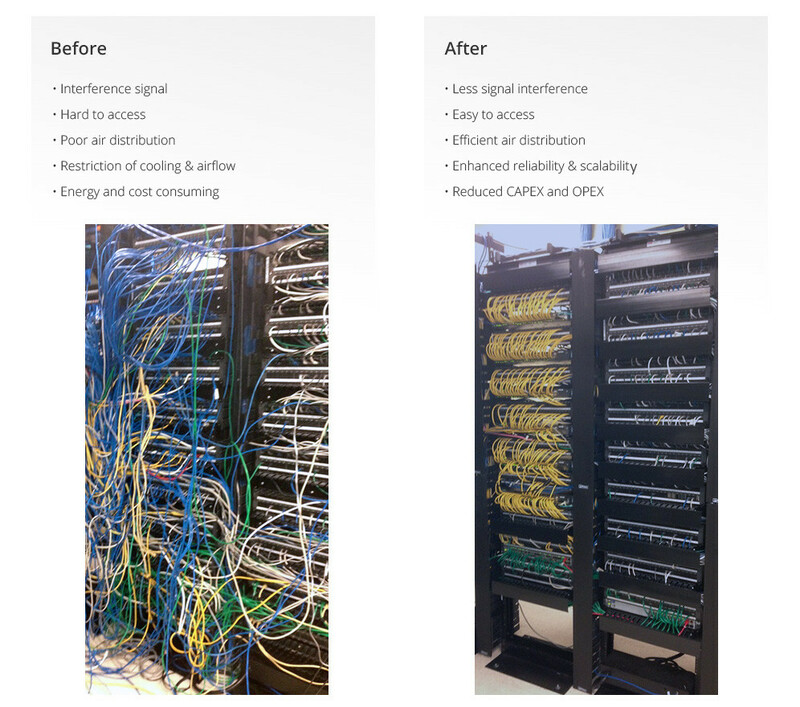 The picture below well illustrates the shift from cable spaghetti to organized cabling. Cable spaghetti is a common yet unsettling thing, especially for high-density 40G-10G and 100G-25G breakout cabling. 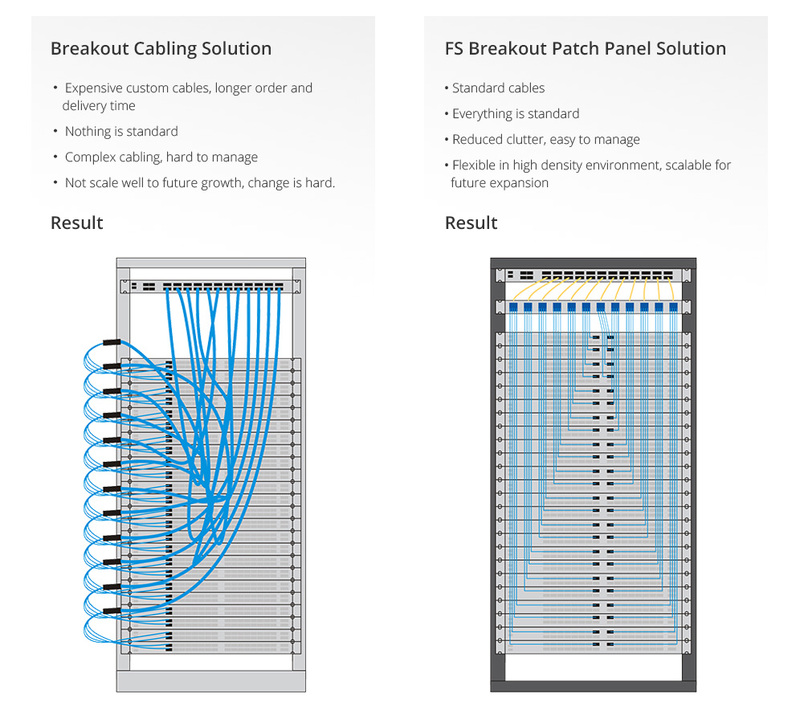 So, it is better to rely on a tried-and-tested tool—96-fiber MTP-LC breakout patch panel. Simply use MTP cables to connect your 40/100Gb switches to the rear ports of the panel, then add duplex LC cables to connect your 10 Gb devices to the breakout panel's front ports. 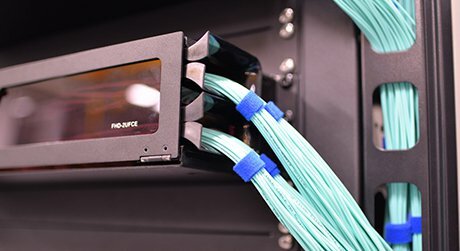 There also exists an upgraded version of this MTP-LC breakout patch panel: with a removable and unique cable management plate at the back, it effectively simplifies trunk cable organization, facilitates installation and reduces cable clutter. An elegant and intriguing rack should also be eye-catching. Breakout patch panel assists to deliver aesthetic appeal in data center, because of these several advantages it has over traditional breakout cables. We cannot judge a rack merely by its appearance. The fact is that breakout patch panel also positively impacts the network performance. As mentioned formerly, cable spaghetti inevitably leads to an array of catastrophic problems. But all these can be mitigated or resolved by breakout patch panel, ensuring enhanced network performance, reliability and scalability. Outer order, inner calm. MTP-LC breakout patch panel makes your data center a more inviting place, which can be energizing and inspiring for you to focus on work. 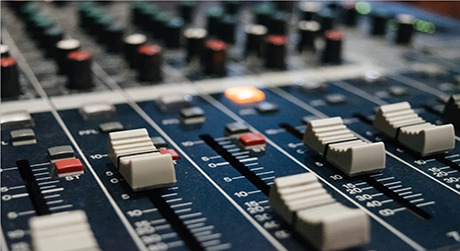 Single-mode and multimode patch panels are available for your choice. Just go forth and organize!